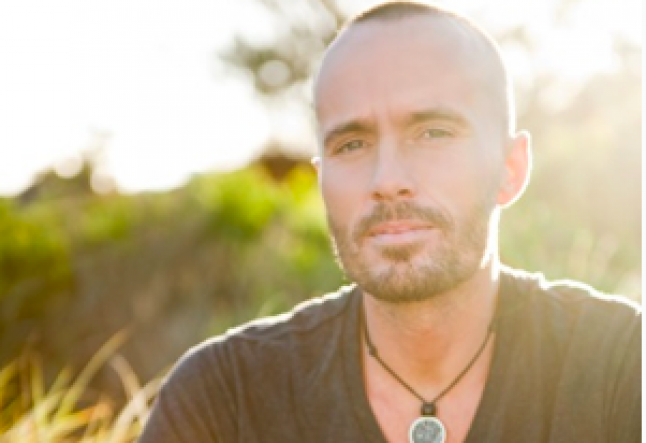 Tyler Tolman, Cofounder of Consciouslifestyler.com, is a 'Raw Foodie' who sets himself apart from the community in several ways. Most significantly Tyler’s advocacy of fruits and fruity juices, which are rejected by some raw food experts, has made him a controversial figure. Tyler is also considered as a breath of fresh air for his fearless promotion of detox programs that support self-care and fun-filled exploration in the heart of tropical Bali. The Rawkettes (for Yogi Times): How long have you been doing your juice fasting retreats and what got you started? Tyler Tolman: I've been running them for 3 years. It’s something I've always wanted to do as this was the way my father healed people when I lived with him on a farm at age 14. The Rawkettes: What sets your self-care adventure tours apart from other cleanse experiences? Shouldn’t people on a cleanse be taking things easy? Tyler Tolman: With a water fast YES. But a juice fast provides typically a lot of energy and people have the most problems with food (and hunger) and when they get bored. People can get through the week and hardly notice they haven’t eaten through what I offer. Having an adventure tour is a great way to do your first fast (and reverse the stigma of fasting). During the retreat, I teach many areas of life and really support the group. By the end of the 2nd day we feel very open and connected. The Rawkettes: What does a water fast entail? Tyler Tolman: With a water fast after 3 days your body goes into what's called (ketosis) where it fuels itself on all the toxicity that has been absorbed by the cells and the body burns cancer cells, abnormal growths and anything foreign, so you can imagine when this process starts it really is the ultimate detoxification of diseased tissue and toxic substances. I have designed a program that keeps people interactive and feeds them through other sources. Air, Fire (sunshine), Earth and Water. This is a path that many have followed for thousands of years. Including Christ, Buddha, Moses, Gandhi, Elijah, Enoch, Don Tolman. The Rawkettes: If "you are what you eat" - then what are you? Tyler Tolman: You are what you THINK. The word EAT is at the center of "DEATH". So it's a break from death and into the joy of LIFE. The Rawkettes: Who are your raw diet inspirations? The Rawkettes: What are the five foods you can’t live without? Tyler Tolman:Watermelon, mango, papaya, dulse (seaweed), greens. The Rawkettes: What are the five foods we should always avoid? Tyler Tolman: There are thousands. Anything that is processed. If it has seeds and can grow, enjoy it. The Rawkettes: Since you are on a non-stop clean diet, to what extent do you “detox” while you’re fasting? Tyler Tolman: I still get toxins from pollution in the air and many other factors. So I still experience detox at some level but generally I feel great and light. The Rawkettes: Many detox experts would reject the inclusion of sugary fruit juices during a cleanse. What’s your justification? Tyler Tolman: Mother Nature provides the best detox materials. Hence the saying "An apple a day keeps the doctor away." I don’t equate sugar with fruit’s natural properties. Sugar = processed white sugar cane, not fruit. The Rawkettes: What do you eat for breakfast? Tyler Tolman: Oat with nuts, seeds, honey, and nut milk or just fruit like mango, papaya or watermelon. The Rawkettes: Any tips on staying raw while traveling? The Rawkettes: Do you follow a 100% raw food diet or do you keep your diet flexible? Tyler Tolman: I'm not a member of any religion and I stay open to what my body wants. Occasionally, I want warm or hot foods. Over time this is less and less especially living in Bali. The Rawkettes: What's your favorite raw food restaurant in the world? Tyler Tolman: Sunfood Cafe in Los Angeles, with chef Rawsheed. I consider him a master! The Rawkettes: Any particular pleasure foods that you enjoy? The Rawkettes: Thank you very much, Tyler.